As a ‘green’ chemical engineer working throughout the world, I write most of my poetry while flying, shelved for hours at airports waiting for flights and staying in hotels. Three significant forces work on my poetry: passion, place, and the politics of science. I was born in Havre, Montana, in December of 1944, one of the coldest spots in the U.S. and the most spiritual for me. I measure all other places by Havre. It is the lodestar for my poetry. These poems create a wide-ranging world where anyone can find a home. 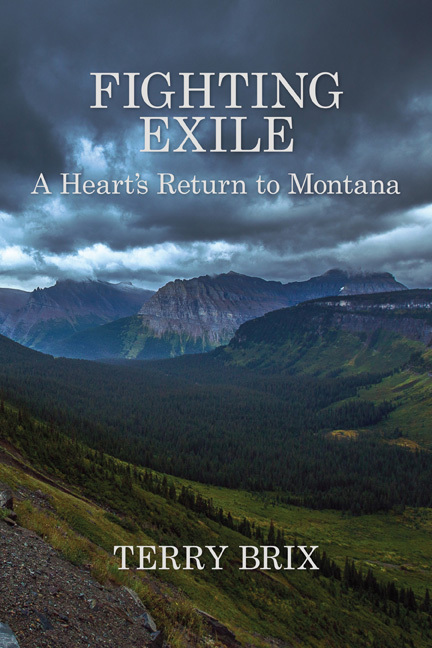 In “Fighting Exile,” writer/scientist A. T. Brix brings “a grocery cart of feelings” and spreads “a sudden / great brightness from a trail of compassion.” It is a treat to find such an omnivorous imagination paired with such depth of human insight. In these memoryworks, Brix takes us into territory rooted in place and forged by experience and longing. These poems accumulate, wander through the seasons, and find their way to us like a dream Montana is having about itself. A delightful and haunting collection.